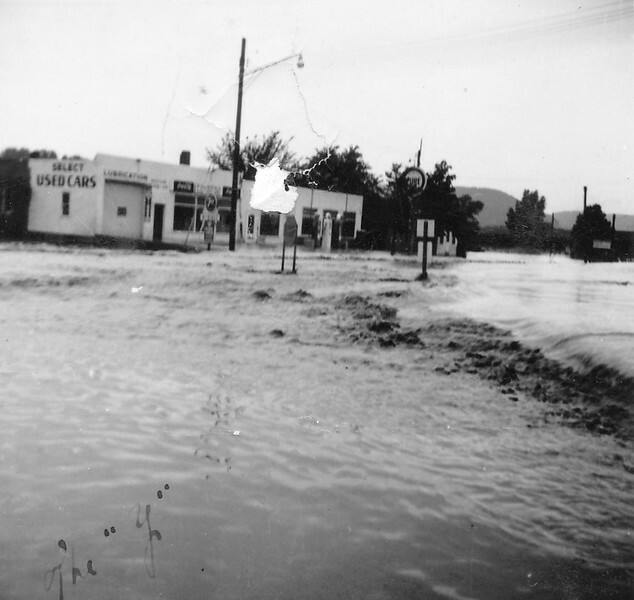 Flood waters pouring over Highway by Joe and Vernie Von Arx's farm by Hokah. This was the gas station and garage to the east of the farm house. There was also a gas station, garage and coffee shop on the West side of the property. This station is at the current site of the Hokah Kwik Trip.